How is Data recovered in Professional Data Recovery Lab? Data is the most important thing not only for organisations but also for individuals. While more and more people exposed to consuming data through the internet on mobile phone, laptop, hard drives, etc. on a daily basis. Problems due to data are also increasing with rapid speed. Loss of critical data is one most common problem related to data these days. Data loss can occur due to human error, software related issues, virus attack or may be any physical damage to the storage device. Therefore, it's important to identify the right service provider who not only can recover your data quickly but will also ensure the safety and integrity of your data. Recovering your data from your device can be a complicated or simple job. In some cases, a simple software can help whereas in other cases, it may require professional assistance to recover data. 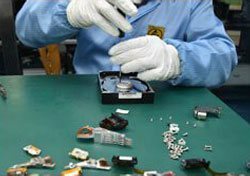 Therefore, it's crucial for you as the owner of the data to understand the processing of Job in a professional data recovery lab. Broadly, we classify data recovery job in 3 categories. In most of the logical cases, typically your hard drive/storage media is functioning normally. You are just not able to see/access your data in storage media. Your browser does not support the audio element. Click here for the audio. If you hear any such sounds from your hard drive, most likely there is some physical issue with your hard drive. As the name suggests, these case are a mix of both logical and physical. These jobs are also a mid-level complex job to high-level, complex jobs. All above scenarios require a different setup, different data recovery process, and various technology to recover data. All logical recovery cases are opened in Logical data recovery lab. A logical lab is a controlled environment, where our experts work on storage drives that exhibit logical failure scenarios. There is a difference between a normal computer/hardware shop and a logical recovery lab. 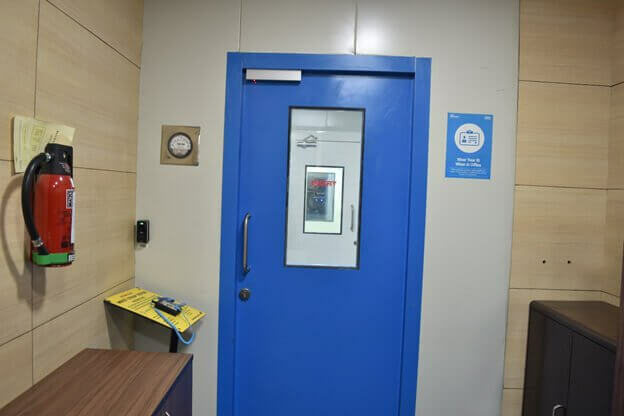 In Logical data recovery lab, no unauthorised person can walk in randomly. 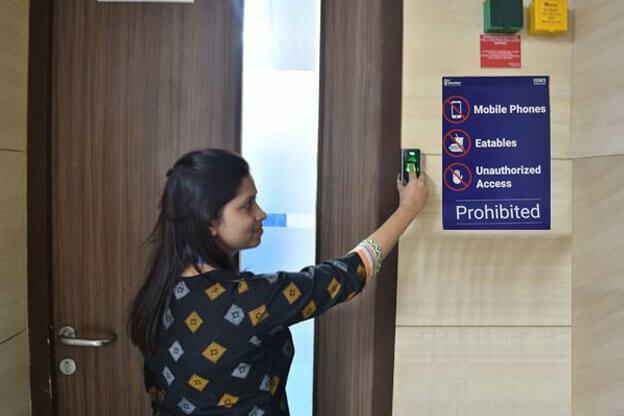 There is access control system installed on the gates, and only an authorised person can visit the lab. Ideally, It takes 1-4 business days to process a logical job. Depending upon the number of jobs which are in process and complexity of the problem. Physically damaged cases are incredibly complex and sensitive jobs. In addition, these jobs require skilled technicians and a specialised environment to open the storage media. I.e. the Class 100 Clean Room Lab. 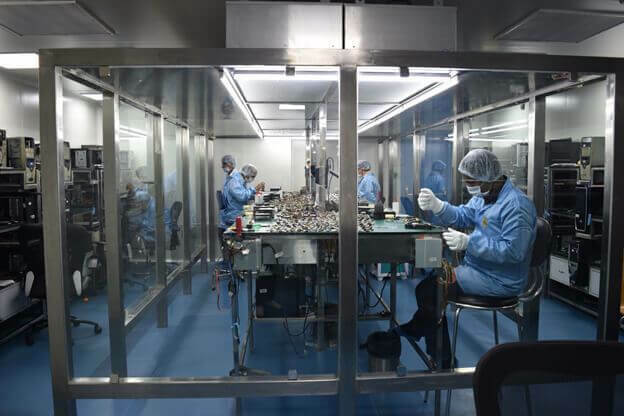 A Class 100 Clean Room is a controlled environment where pollutants such as dust, chemical vapours, airborne microbes, etc. are at a considerably low level. This kind of environment is mandatory and hard drive manufacturers also recommend to open hard drives. If someone is opening your hard drive in a non-controlled environment, it may further damage your hard drive condition which can lead to permanent data loss. 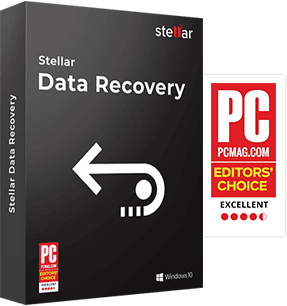 Stellar's Class 100 Clean Room is authorised data recovery lab where all the entries are restricted accept our experts. Only authorised technicians have access to the data recovery lab. We are an ISO 27001 and ISO 9001 certified organisation. We have internal processes and procedures safeguarding customer's data within our premises. The Class 100 Clean Room lab is a prerequisite for a successful data recovery process. 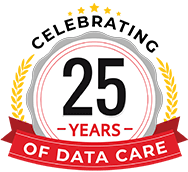 We maintain a high level of data security and confidentiality; your complete data recovery process is risk-free in Stellar Data Recovery. What kind of device/storage media are operated in Physical Lab? All kind of storage devices, which are physically damaged need to be operated in Class 100 Clean Room Lab. Devices such as hard drives, raid server, NAS/SAN servers, physically damaged mobile phones etc. The devices that cannot be treated in a normal environment are operated in Clean room lab. How does a Physical Data Recovery Lab look like? 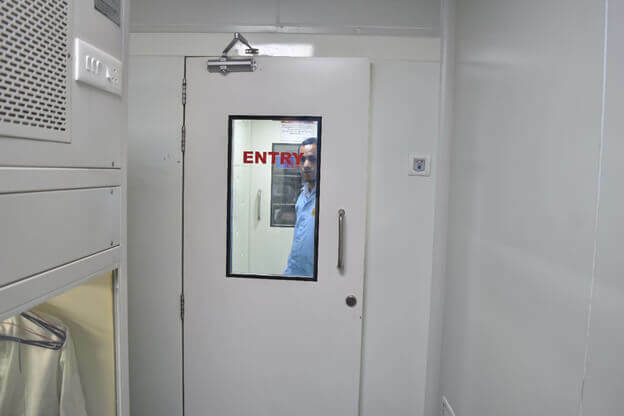 A Class 100 Clean Room Lab or physical lab has artificially regulated environment especially for opening Hard Drives. The lab has less than 100 dust particles of size 0.5 microns per cubic foot of air as against a typical air-conditioned office building containing 5,00,000 to 10,00,000 particles per cubic foot air. 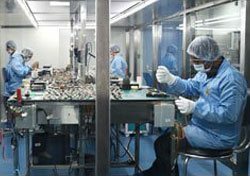 Stellar has ISO Certified Lab, that has an advanced temperature, humidity, pressure, and contaminant controlled environment. Furthermore ensuring no further damage occurs to the storage media device. All data recovery experts wear CLEAN ROOM clothing (boots, lab coats, bouffant caps, gloves, hairnets, etc.). Our lab not only provides data recovery solutions but also has humongous inventory, where we have spare parts, including hard drive heads, PCB boards, platter cleaning equipment etc. 1. 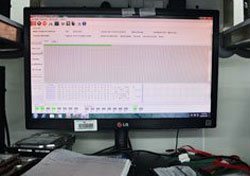 Submission of Media - The first step of the data recovery process starts once the client submits the drive for data recovery in our centre. We assign a unique Job Id to the media device and finally submit it for data recovery to the lab. The technician notes down essential details of jobs, like device details, data to recover from storage media. 3. Consultation with Customer - Our Lab technicians share the assessment report with customer service team. And they forward this to the end customer and then discuss this report with the customer. The customer service team inform the client about all detailed finding of the storage media. We address all the customer queries regarding their data recovery and ensure them of successful recovery. Typically this consultation call goes on for 10-30 mins, depending upon customer queries and detailed finding. 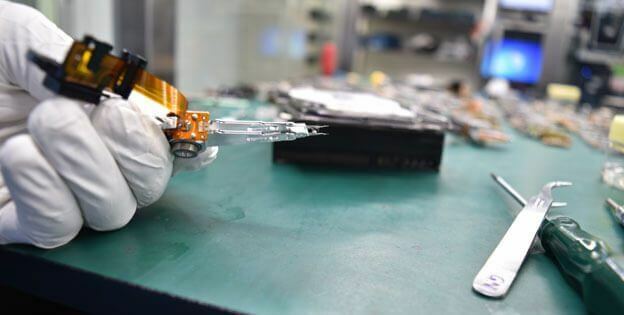 For physically damaged hard drives spare, the technicians fix it by doing spare transplantation. Spare transplantation is exceptionally complex and sensitive process. It's like kidney/heart transplantation in your hard drive. If this goes wrong, it may damage your drive permanently. The first step before we do a spare transplantation is to identify right spare for your hard drive. We have a significant inventory that has over 50,000 of spare parts of different Hard Drive models. Also, we take spare part from a donor hard drive; the data recovery specialist fixes the damaged hard drive. Once the repair is complete, they proceed to next data recovery step, i.e. "Cloning". If we don't find a spare in our inventory lab, we arrange it by buying a new hard drive, to ensure data recovery is complete and 100% successful. Once we through with spare transplantation, next step is to create a clone of your hard drive. Cloning is creating taking a dump of your complete in-accessible hard drive data. After spare transplantation, your hard drive is made functional temporarily to complete the cloning process. Creating a clone of your hard drive data can take minimum 1 day to several days, depending upon other factors like scratches on platters, bad sectors, etc. Data Cloning process takes place, the data on the damaged drive is cloned on a new drive. Technicians perform all the data recovery task on this cloned drive. Either the client can visit the desired data recovery center to verify their data. Or we arrange a TeamViewer set up for the client. So that client comfortably verifies their data without visiting Data Recovery Center. If the customer is not able to verify their data, furthermore, we reprocess the job again. We have strict No Recovery - No Charge policy*. If we are not able to recover desired data, there are no recovery charges. After receipt of approval from the customer for the recovered data listing, and the customers need to give signing of data verification and acceptance. We hand over data to the customer on a new external hard drive which customer has to provide. Or the customer can also buy a new external hard drive from us which comes with a data care pack at a discounted price. We deliver data on a new external storage device which customer has to provide. Alternatively, you can also buy a new external hard drive from us which comes with a data care pack. With data delivery, we thereby come to the end of our data recovery process. *Data delivery is subject to agreed terms of payment. Upon realisation of data recovery charges (and other charges if any), Stellar wipes the data beyond recovery after 7 working days. *Any device, media and data unclaimed or left with Stellar with or without full payment after 60 days from the date of signing Media Assessment Form will be disposed at the discretion of Stellar. And will release Stellar from any obligation of confidentiality related to the device, media and data and customers ceases the right of ownership to that media. 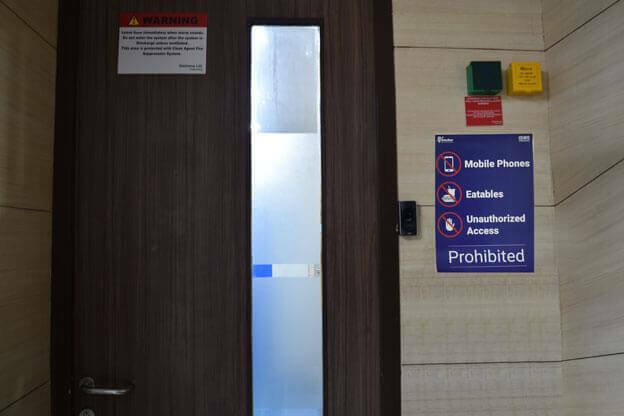 Biometric controls are installed in our recovery lab to ensure only authorized experts can enter the laboratory. No mobile phones or electronic devices are allowed inside data recovery lab to ensure your data remains secure. Your personal details are not shared inside a DATA Recovery lab. All recovered data and clone are erased after data recovery process is completed. Stellar being an ISO 27001 and ISO 9001 certified organisation, ensures that all your data inside our premises is entirely safe and secure. So next time, you visit any data recovery service provider, just make sure that they have adequate infrastructure and precise data recovery process or techniques safeguarding your essential data.